Microsoft Windows isn’t even nearly-perfect when it comes to media consumption. Let’s accept it: Windows Media Player doesn’t help when it comes to easy media management and access. If you are a media-junkie, you would have wished for something like iTunes for Windows. When we say an iTunes for Windows, we mean the power and integration too. In case you haven’t been able to find one, stop searching — Audials One 2018 is here. We came across this amazing piece of software while searching for an effective media management tool for Windows. And, what was more, Audials One 2018 offered more than we expected. We were so impressed with Audials One 2018 that we also decided to come up with a review. And, here you go — a brief and inclusive review of Audials One 2018 and how this multipurpose utility would help you keep your media arranged. Shall we start, then? 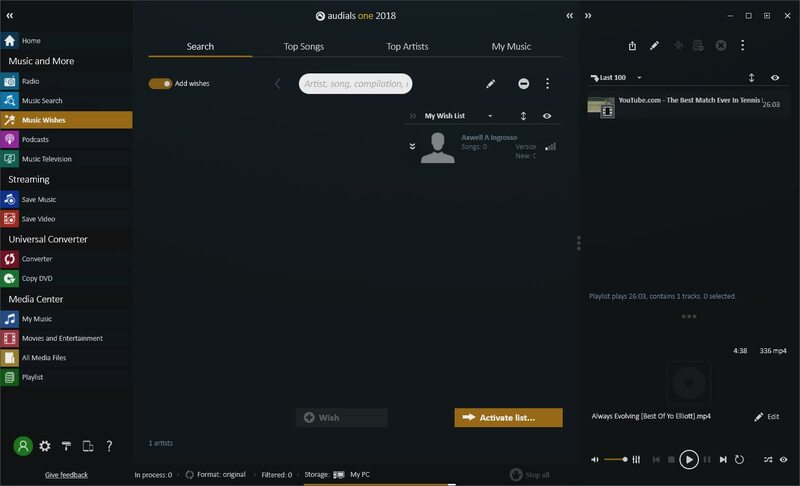 We haven’t found the real term to attribute to Audials One 2018 yet. This piece of software is so rich that it combines many features from many types of software. 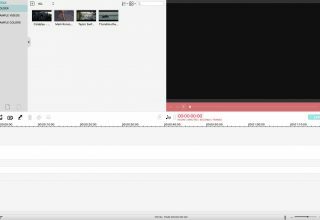 At a single time, Audials One 2018 can be a complete music player, video converter, video downloader and music finder — how does that sound? With some level of exaggeration, we’d say that Audials One 2018 has everything a media junkie wants. 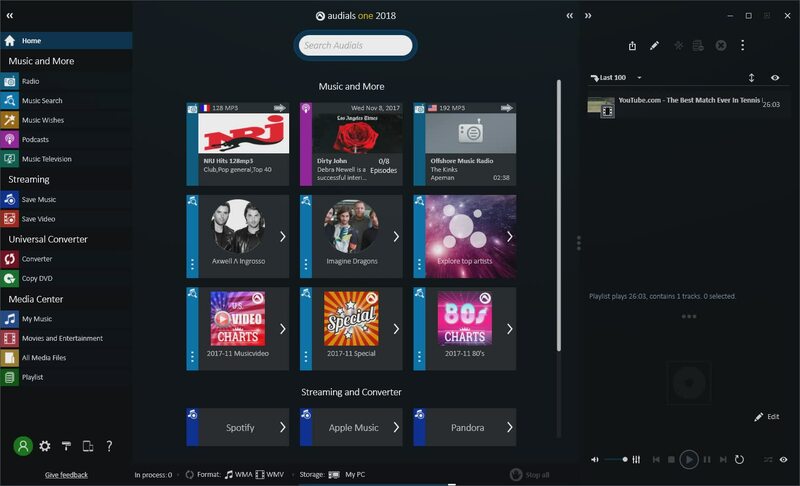 Available for Windows devices as of now, Audials One 2018 is definitely more than an iTunes alternative. Even in the areas that the Apple-made software may let you down, Audials shines! Audials One 2018 is a premium software, though a demo version is available. You can purchase the complete version for $49.90 and the software is compatible with devices running Windows 7 and later. What Can Audials One 2018 Do? If we list out all the features, it is going to take long. 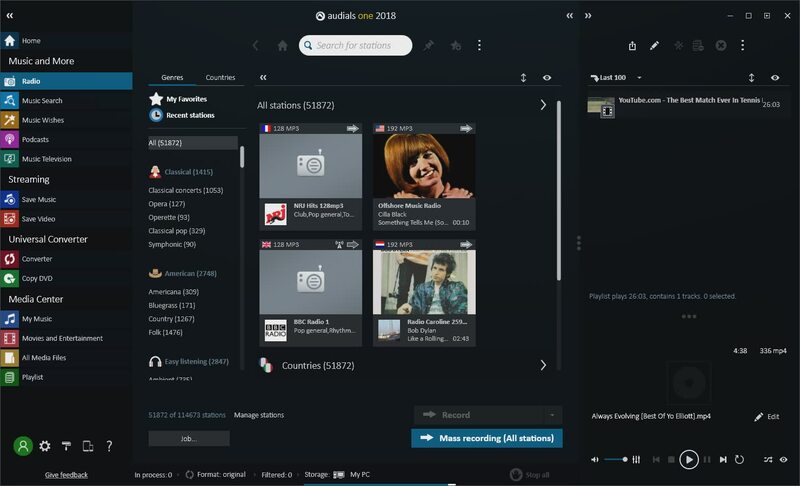 So, here’s the deal: we will categorize Audials One 2018 features into a few sections, like Music, Video, Podcasts and Radio and share what the software can do. Do you like to find fresh music tracks as soon as they are released? Audials One 2018 is the perfect place for that. You can record and download music from a wide variety of sources, such as YouTube, SoundCloud and Internet Radios. 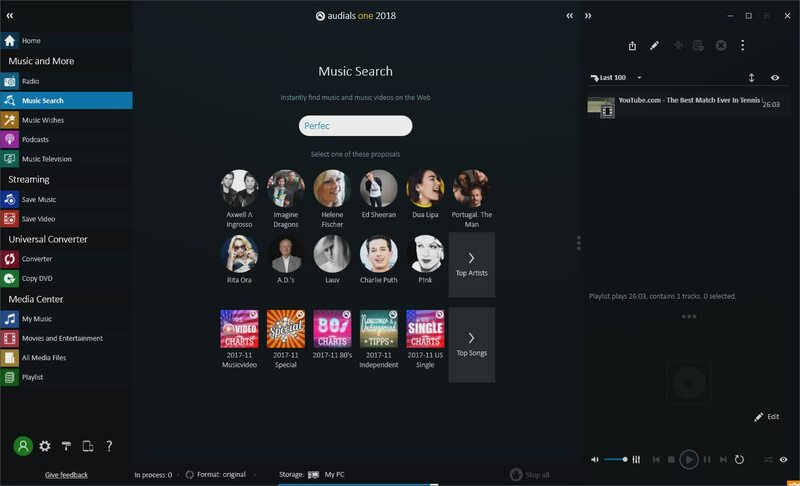 There is also a wonderful Music Search function, which helps you find any track you want. It uses many trusted websites and internet radio recordings to help you find songs based on Artists & Albums. You can download any song and start playing right away. Audials One 2018 works well when it comes to finding and recording your favorite TV Series and other video content. 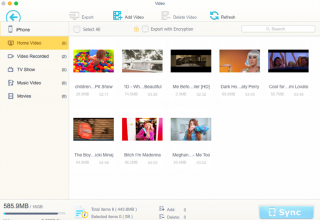 It can record content from popular platforms like Prime and Netflix, letting you access episodes via PC storage. What’s more, there is something called Recording Schedule. 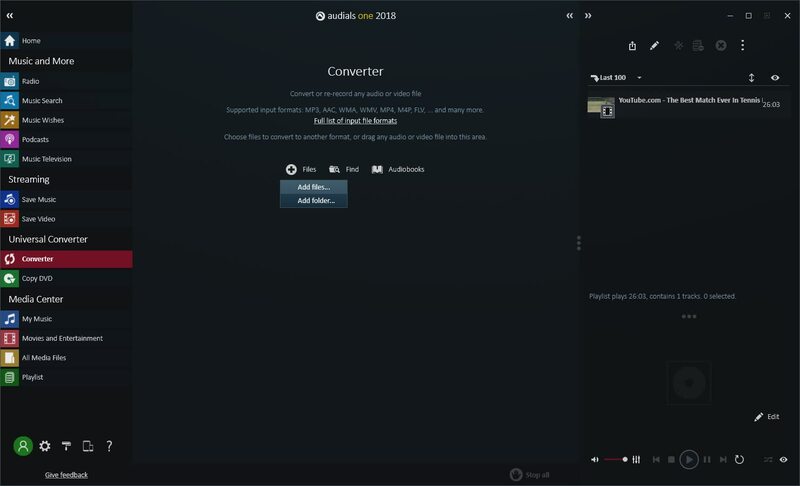 It means that Audials One 2018 will turn on automatically and start recording your shows overnight. In our experience, we found the recording function really useful and intuitive. This is an area where Audials One 2018 rocks the stage. 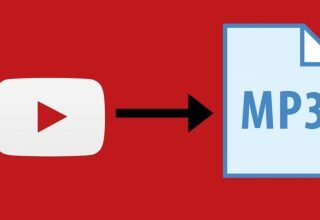 On top of all, there is a universal media converter — which supports hundreds of media format. According to our experience, the conversion time was way better than competitors. Thanks to the powerful algorithms for tag and album-based classifications, Audials One 2018 can keep your media in an easy-to-search and quick-to-access mode. Obviously, there are some other features, such as Internet Radio recording and playback, DVD Copy and Listening to Podcasts. However, for us, Audials One 2018 was a wonderful platform that can manage all types of media including music, video and streaming. This is another area where we found Audials One 2018 as something excellent! It uses a truly dark theme — which doesn’t put your eyes under strain. Also, every section of the software can be controlled from an easy to access sidebar. Unlike most of the media management software we’ve seen, Audials One 2018 arranges all these sections in a quick-access manner. At the end of the day, we’d say the UI is way better than expectations. Also, being a media-junkie myself, I found the interface promising and simple at the same time. Audials One 2018 was able to keep us excited from the first usage to the last. So, what do you think? We will recommend this multipurpose utility for everyone who likes to keep a well-arranged media format. 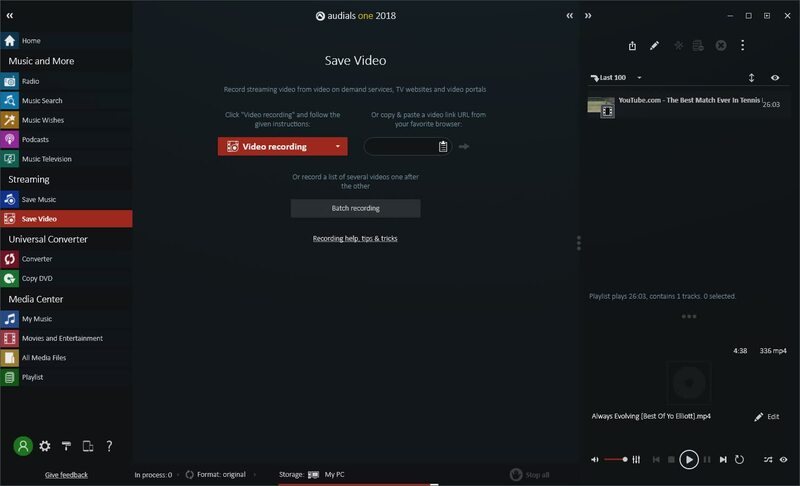 If you’d compared Audials One 2018 with other ways, it’s also the easiest way to find, download and record all sorts of Audio and Video content.